The API 610 standard (with ISO 13709 as the Identical European standard) was created by the American Petroleum Institute to outline regulations regarding centrifugal pumps for petroleum, petrochemical and natural gas applications. The standard covers multiple components (housing castings, bearings, mechanical shaft seals, etc.) within the pump system in addition to the coupling connection. For the coupling connection the standard defaults to an all-metal flexible element spacer type coupling, commonly known as a Disc Coupling. In addition, the Disc coupling is required to be designed to retain the spacer if a flexible element (disc pack) fractures thereby preventing the spacer from impacting the coupling guarding and have a minimum balance of class 9 according to the AGMA 9000 standard. 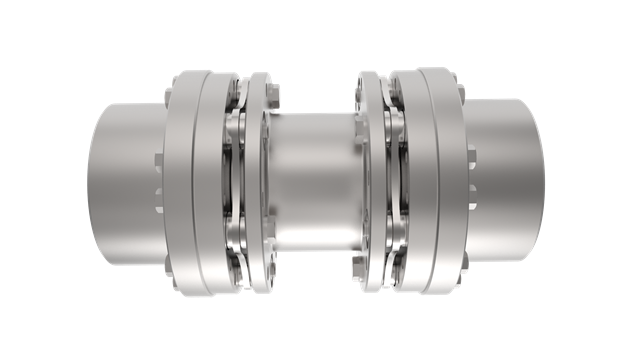 The standard allows other couplings to be used (with Gear coupling being the leading alternate) but still requires the coupling to have a balance of Class 9 to obtain the API 610 certification. An important item to consider is that couplings operating above 3,800 rpm the API 610 standard states the coupling must be balanced to meet the API 671 (ISO 10441) standard. While this will not provide a coupling that meets all the API 671 requirements, it will deliver the proper coupling balance needed for the application.